← It took just a MOUSE in Casablanca…and they have HUGE RATS in Singapore! BN, which is known to leave its communication strategies to public relation firms and international consultants, broke from convention as it despatched a minister to roll up his sleeves and do an opposition-styled expose. Urban Wellbeing, Housing and Local Government Minister Abdul Rahman Dahlan, who for the first time introduced himself as BN strategic communications director, accused whistleblower site Sarawak Report of fabricating its damaging reports about 1MDB and the prime minister’s family. He based this on a police report lodged by one Ramesh Rao Krishnan Naidu, who also handed a video and an email to the police to back the allegation against Rewcastle. The video featured Lester Melanyi, who claimed to be a writer for Sarawak Report, confessing that he had fabricated information on the whistle blower site. The email in which Rewcastle purportedly admitted to fabricating information was also provided to Ramesh by Lester. 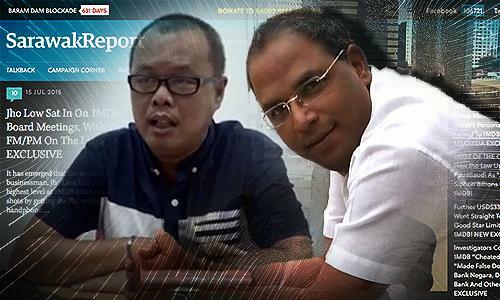 Ramesh Rao, 43, leads an obscure NGO named Pertubuhan Minda dan Sosial Prihatin (PMSP). Based on the NGO’s media invitation track record, it has a penchant of making police reports and submitting memorandums, with a particular interest in the opposition. In February 2014, there were efforts to lobby Ramesh Rao to become a senator and replace P Waythamoorthy as a deputy minister but it did not materialise. Lester Melanyi, 49 was an editor at Sarawak Tribune but was forced to resign in 2006 after he allowed the publication of a caricature of Prophet Mohamed. As a result, the newspaper, established since 1945, was also suspended indefinitely. 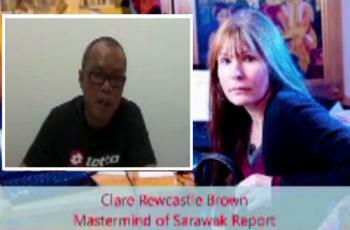 Lester claimed that he had written for Sarawak Report and was asked to used fabricated information. KUCHING: Former Sarawak newspaper editor Lester Melanyi stands by his expose on Sarawak Report’s alleged falsification of information on 1Malaysia Development Bhd (1MDB) to topple the Prime Minister. “My conscience told me to act and speak up,” he told The Star in reiterating the allegations that Sarawak Report had worked with opposition leaders in a mission to bring down Datuk Seri Najib Tun Razak. Lester claimed that he had told several politicians about the matter but no one believed him except Pertubuhan Minda dan Sosial Prihatin president Ramesh Rao. … He said the video confession was made during a trip to Kuala Lumpur in June and claimed that he was not paid to do it. “Ramesh did it (the video). I’m not denying that my trip to KL (and) hotels (were) all paid for and they gave me RM1,000-2,000 for my expenses. That’s all. The term pay here is different,” he said. 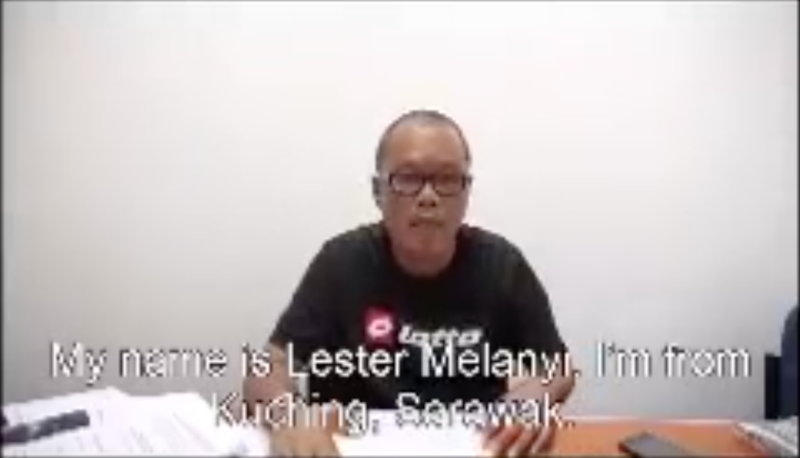 Lester also wanted to clarify that he was not a former editor of Sarawak Report as mentioned by Barisan Nasional strategic communications director Datuk Abdul Rahman Dahlan in a press conference about the police report and video confession on Wednesday. He said what he did was “localised” articles written by Sarawak Report to make them more understandable for Malaysians. PETALING JAYA: PKR vice-president Nurul Izzah Anwar has described as ridiculous allegations linking her father Datuk Seri Anwar Ibrahim to forged documents involving Sarawak Report in a plot to topple the Prime Minister. “It is ridiculous. How can he (Anwar) forge the documents when he’s been in prison since February?” she asked in an immediate response to a video recording of a former Sarawakian editor Lester Melanyi claiming that Anwar was one of the opposition leaders he met in London. She said that the only way for the truth to be known on the controversial 1Malaysia Development Board (1MDB) issue was for the immediate disclosure of the Auditor-General’s interim report. This entry was posted in 1MDB, anwar ibrahim, BN, lester melanyi, najib, sarawak report and tagged 1MDB, anwar ibrahim, BN, lester melanyi, najin, sarawak report. Bookmark the permalink.